Greece annually translates five times more books from English than the entire Arab world, and currently, 65 million Arab adults are illiterate. These sobering statistics are thanks to the U.N.’s first Arab Human Development Report published back in 2002 which I found in Thomas Friedman’s recent Op-Ed in the New York Times. The reports were published consecutively from 2002-2005, but until this year a new report hasn’t been generated. The goal of the reports is both to “build consensus around regional and national development priorities” and to “identify disadvantaged groups of population and regions and suggest policies, strategies and opportunities for investment to benefit them,” according to the U.N.’s AHDR website. the total number of books translated into Arabic during the 1,000 years since the age of Caliph Al-Ma’moun [a ninth-century Arab ruler who was a patron of cultural interaction between Arab, Persian, and Greek scholars] to this day is less than those translated in Spain in one year” World Press. Spain translates more books from English to its language than the entire Arab world has in 1000 years—one thousand years. If this is the case with English to Arabic translations, imagine how few Spanish, French, Russian, Portuguese, Chinese, Japanese, etc. 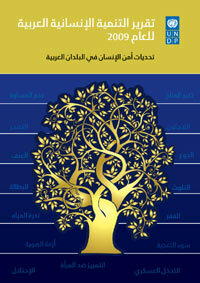 are translated into Arabic. Not only is roughly 20% (1/5) of the Arab world illiterate, but for those who can read, the opportunity to read global literature is extremely limited. in terms of production by country, Lebanon and Egypt were the two leaders, with Lebanon producing 3,121, 4,165, and 3,330 books over the years of 2006, 2007, and 2008, and Egyptian publishers bringing out 3,016, 2,960, and 2,310 titles over that same period. (In contract, Syria brought out 889, 886, and 1,170 books during that same three-year time period.). The number of books written originally in Arabic, as opposed to translated, is more heartening: “7,230, 7,080, and 5,910 books written originally in Arabic and published across the Arab world in 2006, 2007, and 2008 respectively,” in comparison to the “1,480, 1,880, and 1,650 works translated into Arabic…over that same time period.” That means that in 2008, 72% of the books published in the Arab world were written originally in Arabic. The other 28%, of course, were translated into Arabic from another language. Compared to the 172,000 books published in the United States in 2005, however, the 8710 published in the Arab world in 2006 is disheartening. In short, through the reports, the U.N. has found that development in the Arab world will prove difficult given the various social, economic, political, and environmental insecurities facing the region. With the Arab world publishing 1/5 the number of translations as Greece and with 1/5 of the region’s population being illiterate, I can’t help but wonder how many of these development issues could be/will be resolved with increased access to education and literature. Of course, how that will be accomplished remains to be seen.